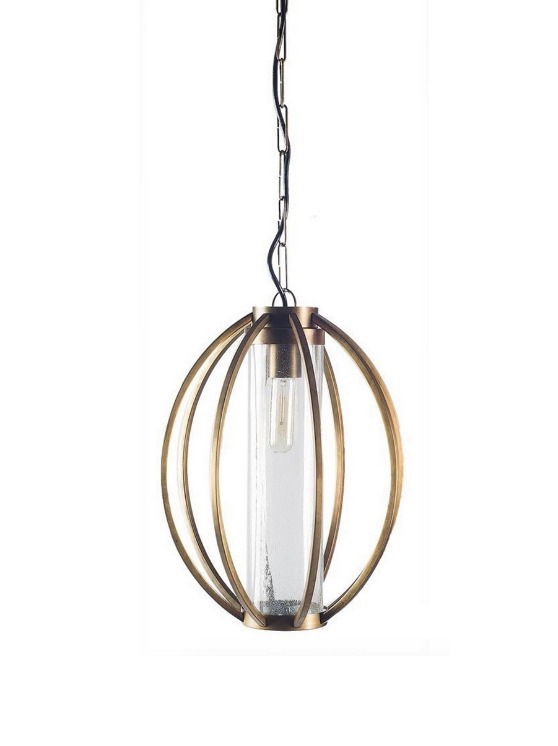 The Ovum is a metal round shaped, adjustable hanging pendant light with seeded glass inside with a distressed brass finish. Uses an E26 standard bulb (sold separately). 40 watts.